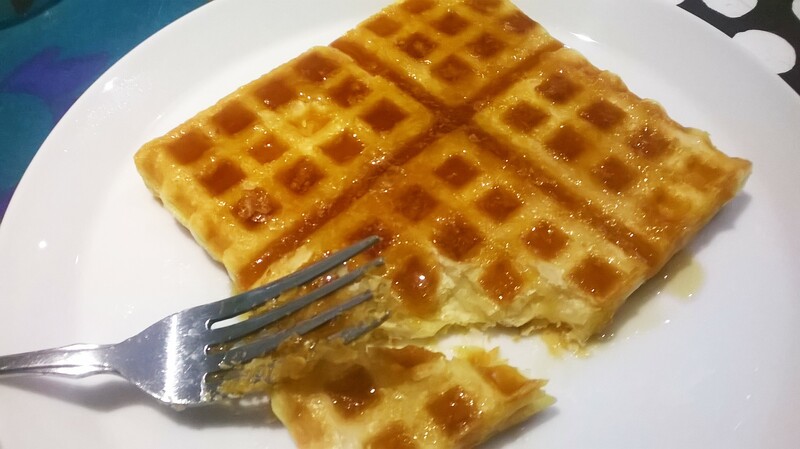 A wicked, slightly naughty A for Puff Pastry Waffles! In a bit of interwebs serendipity, I came across Puff Pastry Waffles as we plowed through a Costco box of standard-issue waffles. If you ever want to take the joy out of a fun food, buy it in bulk. Waffles are a favorite, but as we approached number 72, boring became the operative word. Yes, just leaving them uneaten in the freezer was an option except for the room even the unboxed bags took up. Just be rid of them! My love of waffles was reignited upon seeing the video. And the cosmos has saved me from myself: Our Costco does not sell puff pastry. Amen.